Cooking has always played an important part in the life of Johanna Mathie's large Scottish family and recipes have been handed down over the generations. 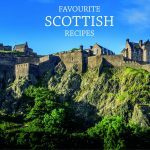 This book contains a collection of the best in traditional Scottish fare. For trade customers, this title is available in a counter pack of 40. To order a pack, add 40 to your basket.